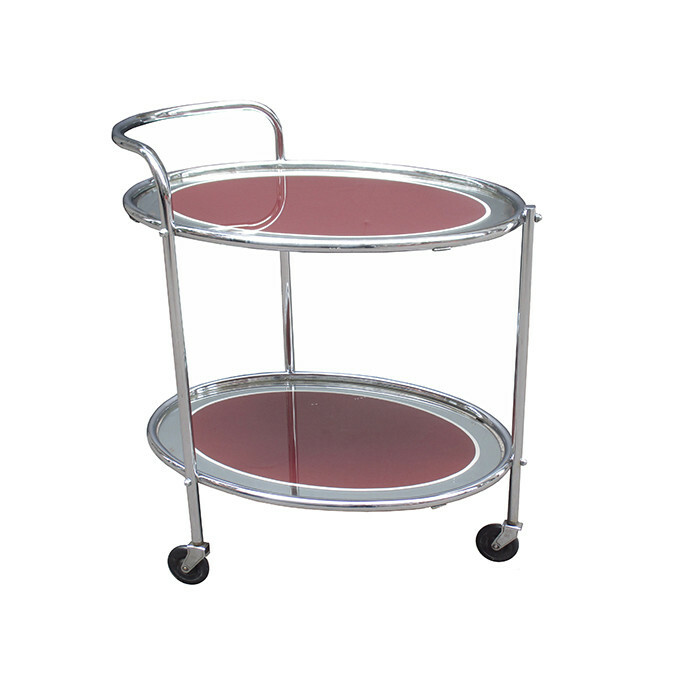 An Art Deco two-tier mirrored serving cart. Polished nickel frame with mirrored tops. Dimensions: H:28½ W:18¼ D:27 Inches.